Well, another day of our planning week is done, two left before we start school on Monday! Meet the Teacher night is fast-approaching and I am really looking forward to meeting my students! 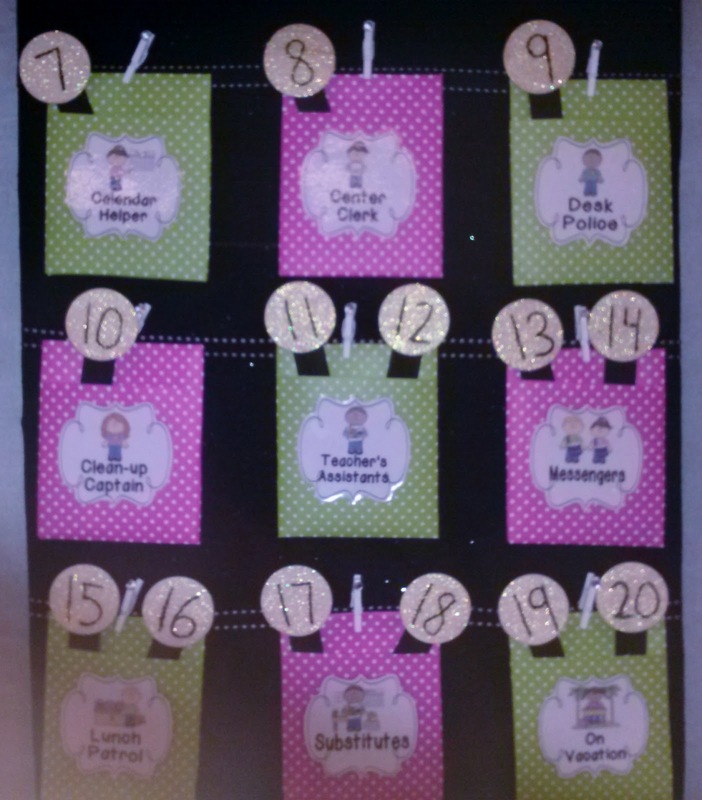 As of today, I have 18 students which is a higher number than I have ever started with before. I think the last couple of years I started with 14 or 15 before I got a few new students. Anyway, I have some good news and some bad news. The good news is that my classroom is 99% complete, has been met with very good reviews from my fellow teachers (people from different grade levels are coming over to see it! 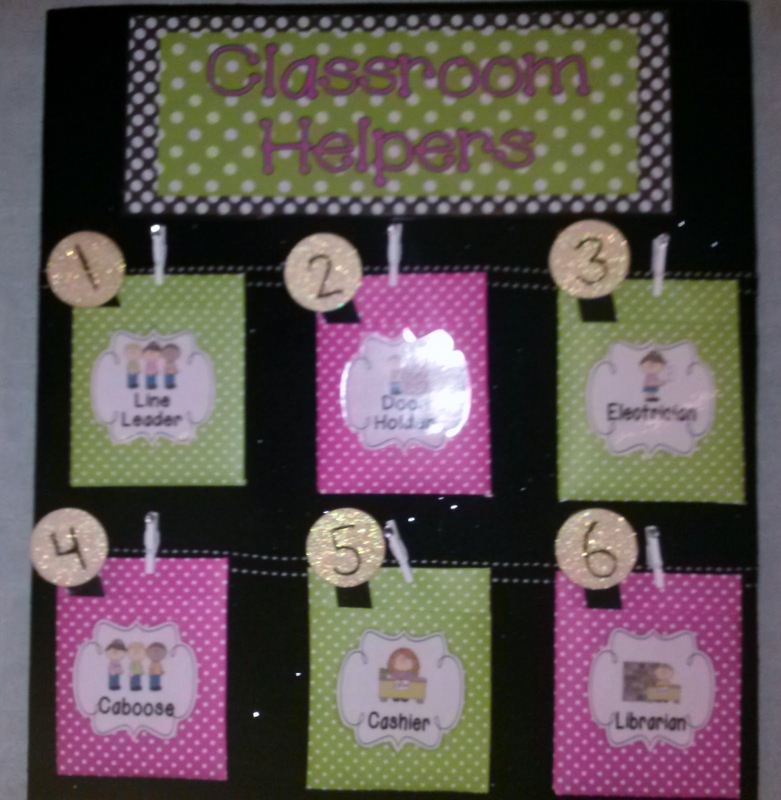 ), and I should be ready to take pictures for my first classroom reveal tomorrow! The bad news has to do with my future classroom pets. My five poor little glofish all met an untimely end over the last few days. I was sad to see them go and have decided not to bring any new fish into the classroom. If I was sad to see them go, I'm sure my students would be even more so. My fish laid eggs!!! Now, I was pretty surprised to count at least 30 fry (baby fish) because when I talked to the person at the pet store she was very adamant that glofish are difficult to breed and I wouldn't end up with a tank full of fry. I just picked up a pack of fry food and am hoping that a few will survive to adulthood. From what I can see, they are growing VERY fast. I have seen several pink, orange, green and purple so far, which I am taking to mean that all of my fish had some part in this little population explosion. 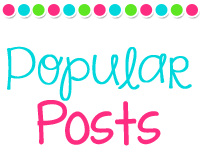 I'm linking up with Fourth Grade Frolics for another Made it Monday and I am especially proud of my projects this week! I found a plain black lamp base and shade at Target and decided that they would be perfect for my desk. 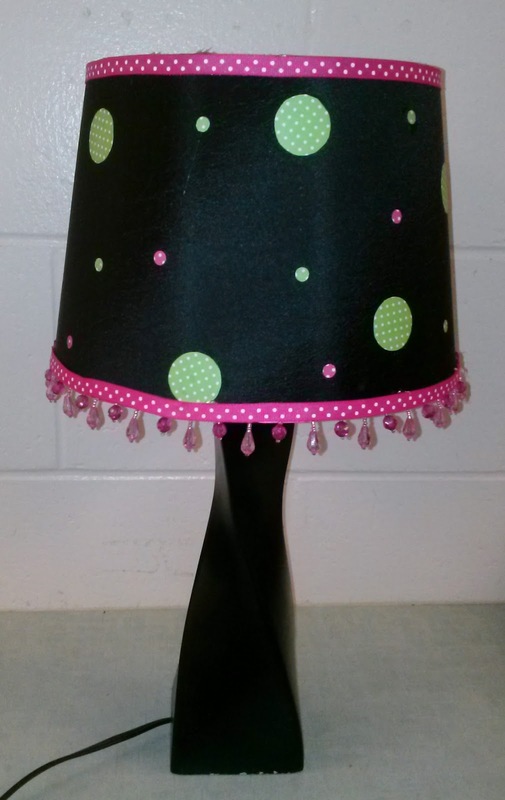 I hot glued the beaded trim around the bottom of the shade and then put the polka dot ribbon over the top. Then I cut out circles from some extra scrapbook paper. I used a hole punch for the small ones, but had to cut the larger ones by hand as I didn't have a punch. It took a while, but I really like the results! I have been wanting to re-do my job chart for ages but haven't been able to decide on what I wanted. Then I saw this pin. Amazing! I tweaked it a little based on the materials I had, but I think it came out really nice! I started by gluing cork tiles to poster board so that it was all one piece. 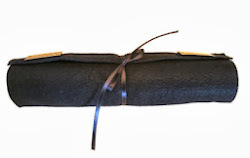 Then I covered them with black felt and a sheer black glittery fabric. I hot glued the ribbon and my self-made paper pockets (which I am very pleased with! 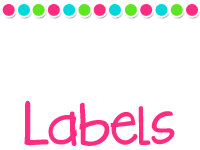 ), as well as my job labels. As for the number sticks, I painted some short popsicle sticks black and glued on some wood circles that I had glittered with mod podge. My last step was to add the little white clothespins that I came across in Joann's the other day. It looked a little plain (well, I thought so anyway...) so I added the rhinestones to the clothespins. 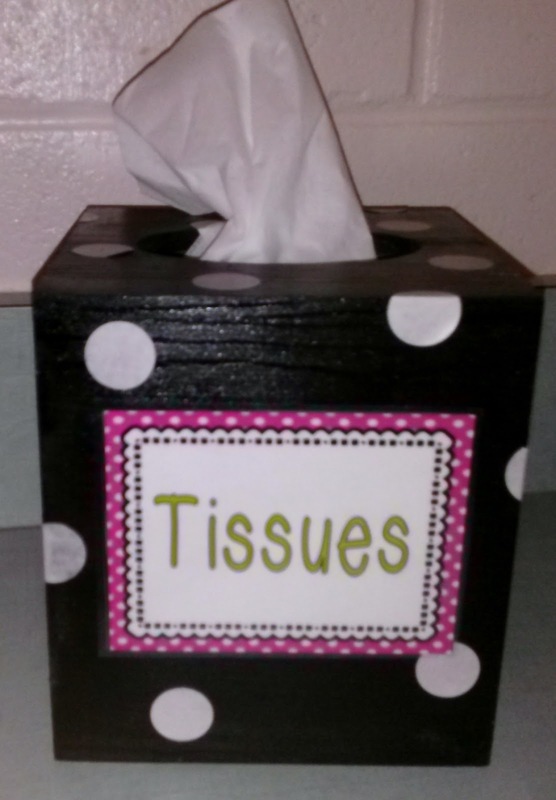 I am really focused on getting everything to match this year, so I had this idea... what if the tissue box was polka dotted too?! 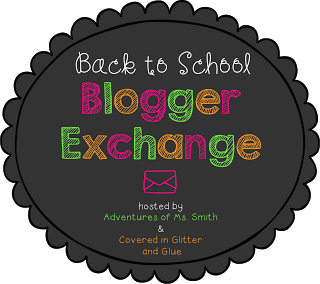 A few weeks ago I signed up for the back to school blogger exchange hosted by Adventures of Ms. Smith and Covered in Glitter and Glue. I had a lot of fun shopping for my partner! 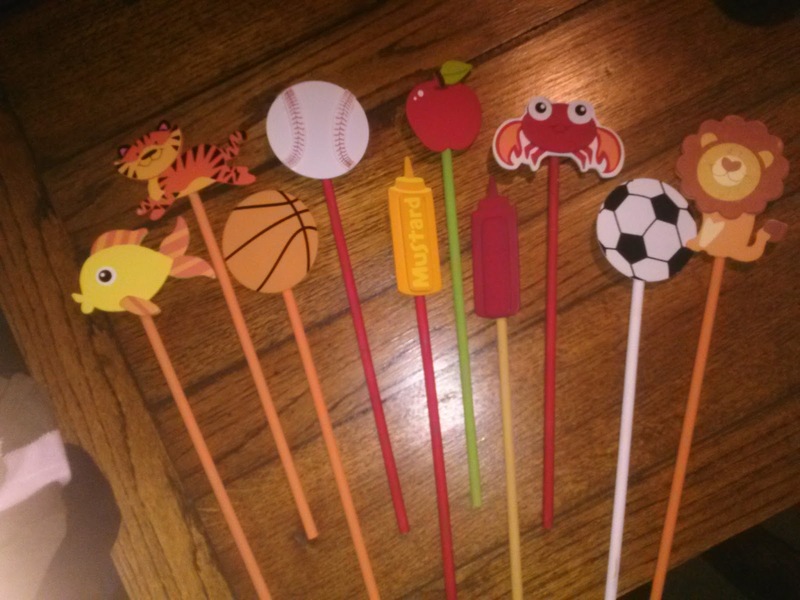 My partner was Lola from Preschool Wonders and she picked out the perfect back to school goodies! 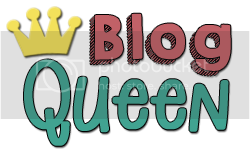 Thank you so much Lola! The giant paperclips just happen to match my table colors, so I will have my table captains use them when they turn in the table's homework. I had actually been eyeing that pink tape for a while, I already had the green to section off my whiteboard so now I can have alternating colors! 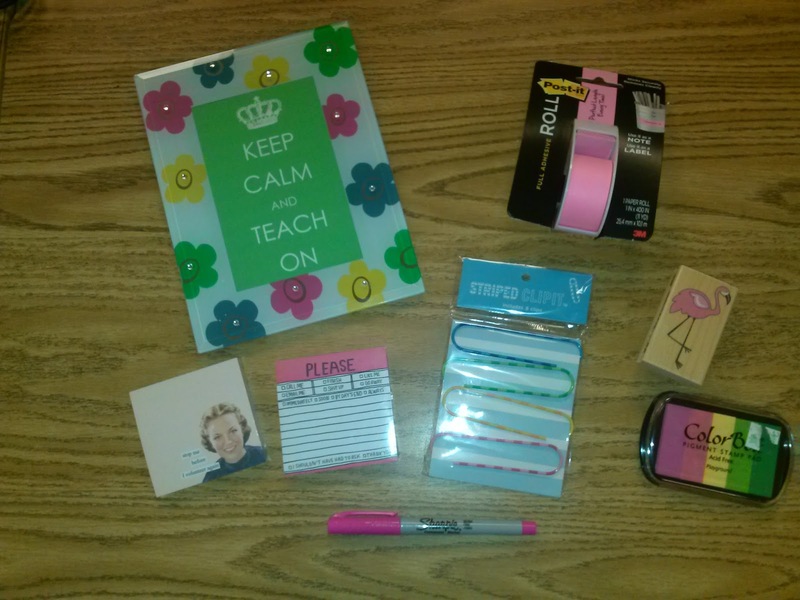 Although I love all of my gifts, I must admit that the flamingo stamp is my favorite! (surprise, surprise!) I know that the kids will love getting it stamped on their papers, because although my students usually come in to my classroom not really knowing what a flamingo is, they end the year loving them! 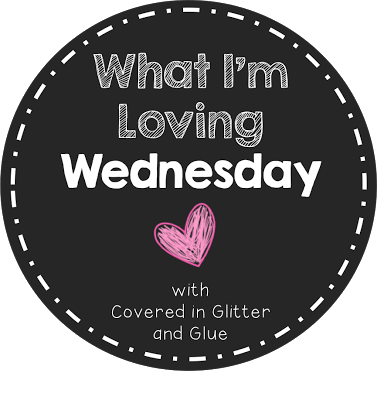 I'm linking up with Covered in Glitter and Glue for my first What I'm Loving Wednesday! This week I am loving my new pets! I just got them this morning and am beyond excited! They are called glofish and will be joining us in the classroom this year! I am really looking forward to having them in the classroom and am sure the kids are going to love them! 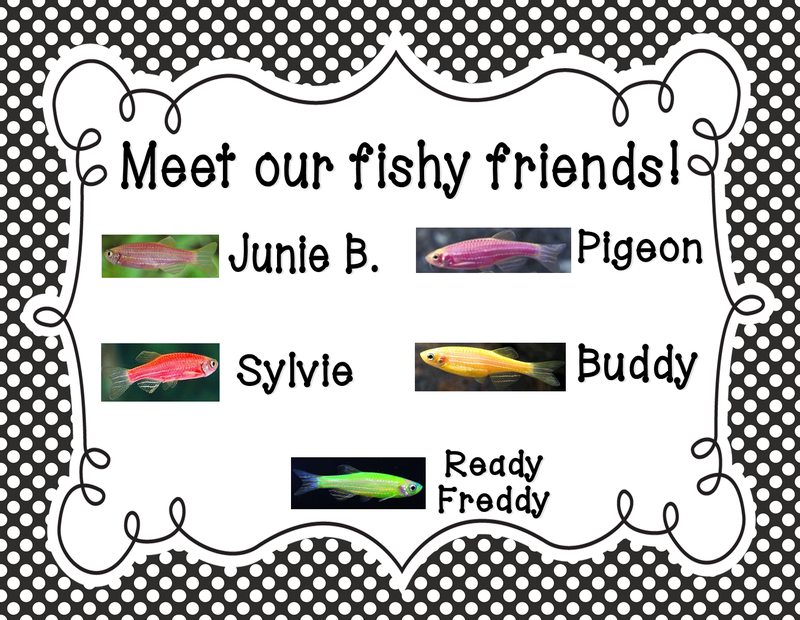 I decided on naming the fish after some of (what are usually) our favorite characters, Sylvie is my favorite! Although, if you've never read Listen, Buddy, I highly recommend it! I haven't printed the sign yet, so I may still change my mind on a couple, but for now, these are their names! Now all I have to do is move them and their heavy tank to school.... it is going to be quite the adventure! 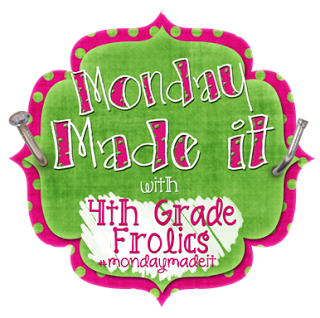 I'm linking up with Fourth Grade Frolics for another Made it Monday! 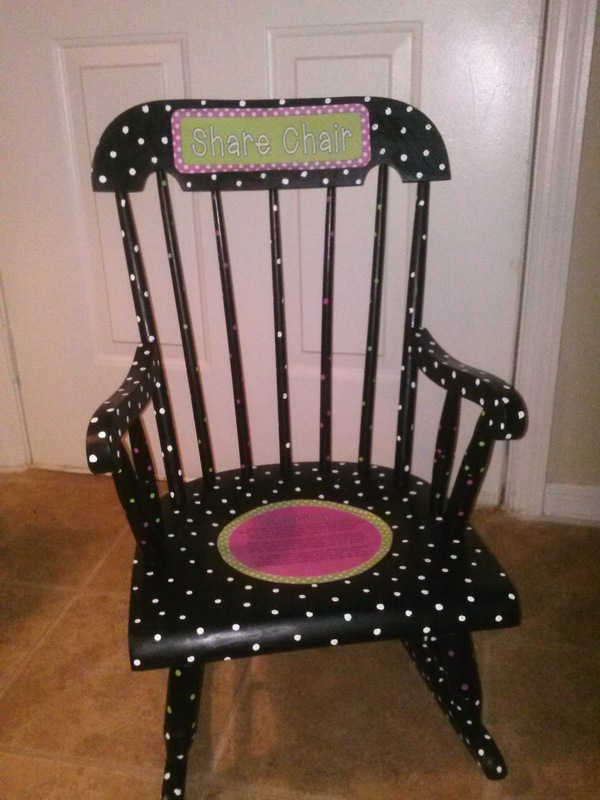 I have been seeing various forms of a share chair all over pinterest and was looking for a chair that would work. I found this child's size rocking chair at a local thrift store for $15. It was perfect! I sanded and painted it black. Then I added the polka dots with pink, green, and white paint and q-tips. This took forever! I kept having to change out the q-tips because they didn't hold their shape for more than 20ish polka dots. What an ordeal! Then I printed the title and poem on the computer. I attached them with mod podge and sprayed them with hairspray as a sealer. I am hoping it will prevent the ink from running when I go to spray the top coat.... we'll see! 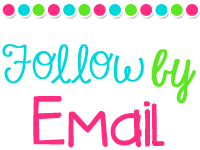 I started using a whisper bell last year after I saw it on Teacher Tipster. If you have never seen any of the teacher tipster videos, I highly recommend them! I have gotten tons of great ideas from him. Anyway, the idea of a whisper bell is that you ring it when the noise level gets above a whisper (I use it during literacy centers) and the students must all respond with a whisper of "whisper bell." I like that they have to acknowledge the bell. If the noise level continues above a whisper we lose one minute of recess for each subsequent ring of the bell. I think we only ever lost maybe 5 or six minutes in all of last year! After the first warning, I can hear some of them whispering to their louder classmates- "shhh! remember whisper bell!" 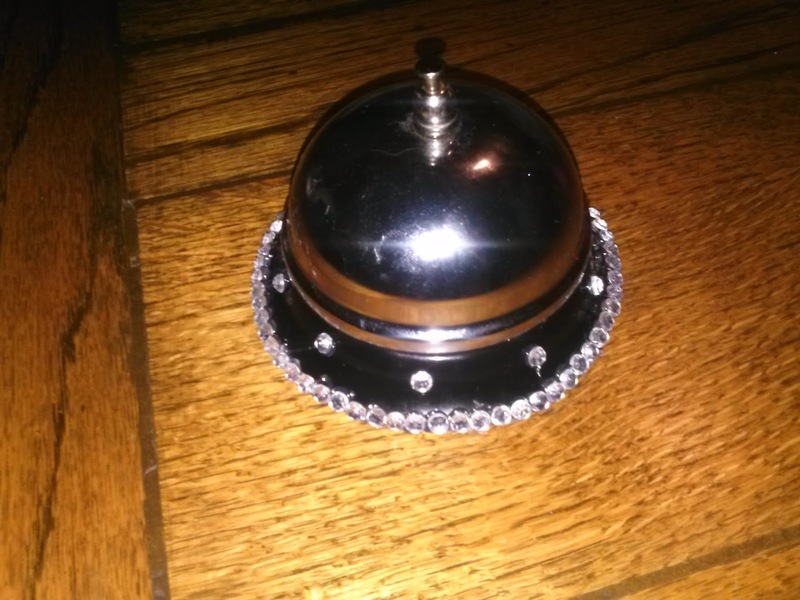 I took a plain old bell and added some rhinestones I found in my desk drawer. That's it! Just added some sparkle! 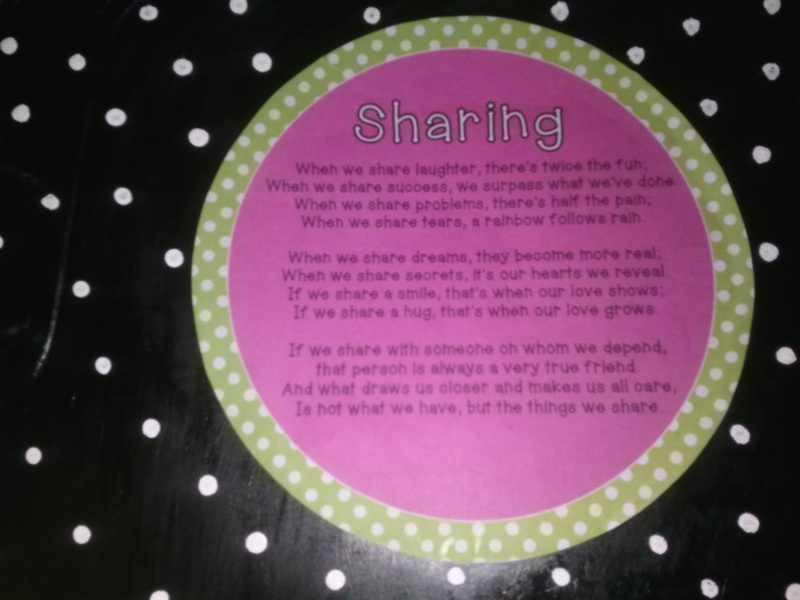 I have been doing this for the last couple of years and the kids really enjoy using them. I take pre-painted wooden shapes from the craft store and hot glue them onto a dowel rod that I paint. I have a bunch of different ones and the kids LOVE to go pick their pointer for our morning message/reading big books/etc. I've had these particular shapes sitting around for ages and finally got around to painting the dowels to match! 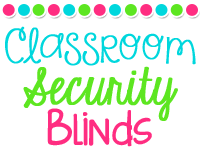 I will be going into my classroom for some serious organization today, wish me luck!